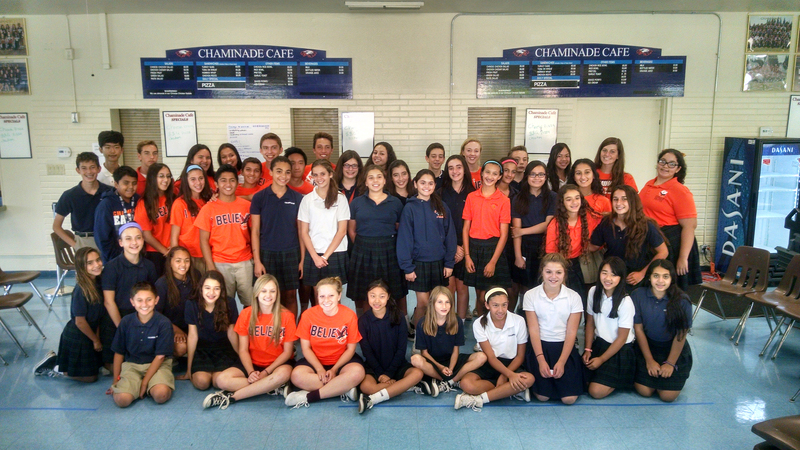 In September, members of Chaminade’s middle school diversity team met for a training session with the commissioners of the high school diversity teams. The objective of the training was to build team spirit and brainstorm on organizing events for the middle school. The middle school diversity team enjoyed collaborating with the older students and the newfound camaraderie in working toward a common goal: to always treat others with kindness and compassion. This year, the middle school diversity team will sponsor two Mix It Up lunches, the signing of the Middle School Eagle Pledge, and support the house pillar activities. In addition, they will organize and supervise the “Miles of Quarters” charity event in honor of the Boys and Girls Club of Los Angeles.